My son was playing basketball for the rec league in my town and wanted a basketball theme party. 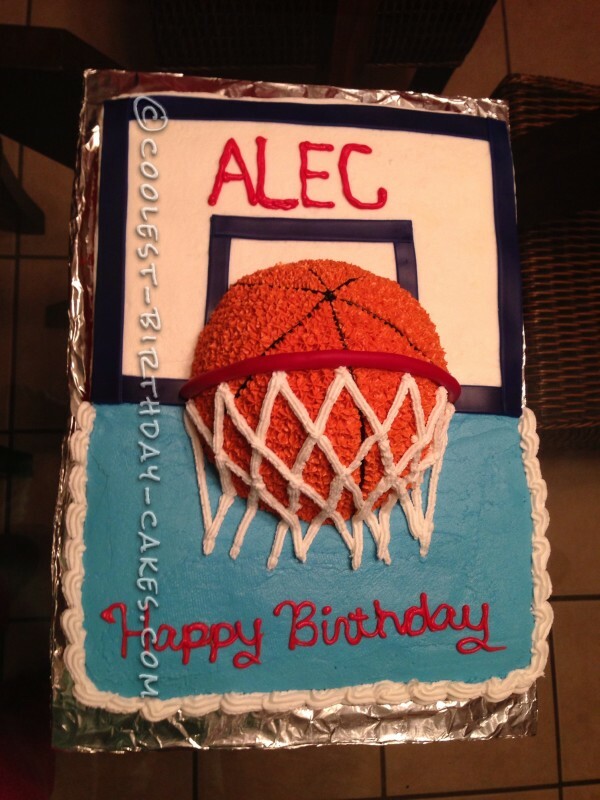 So now I needed to make a basketball cake. 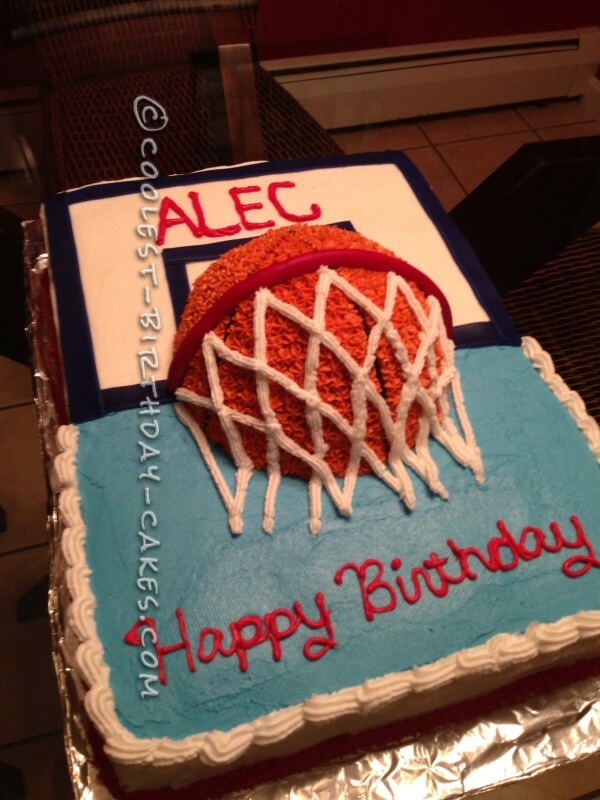 I layered 2 11×13 cakes to make the base of the cake (2 cake mixes for each layer) and used 2 1/2 spheres for the basketball part of the cake (1 cake mix for the basketball). 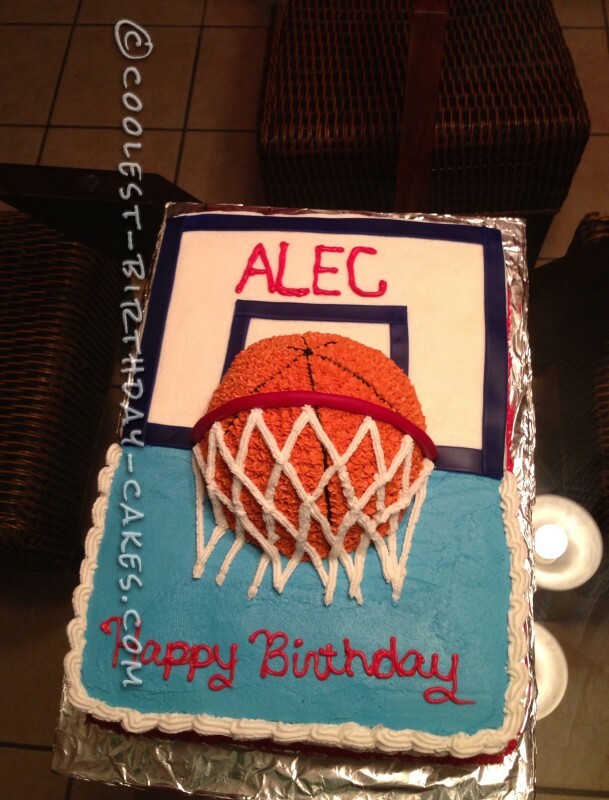 Buttercream frosting (white and blue) was used to create the backboard of the basketball hoop. I made orange buttercream and used the star tip for the basketball. And also used the star tip to pipe the net. 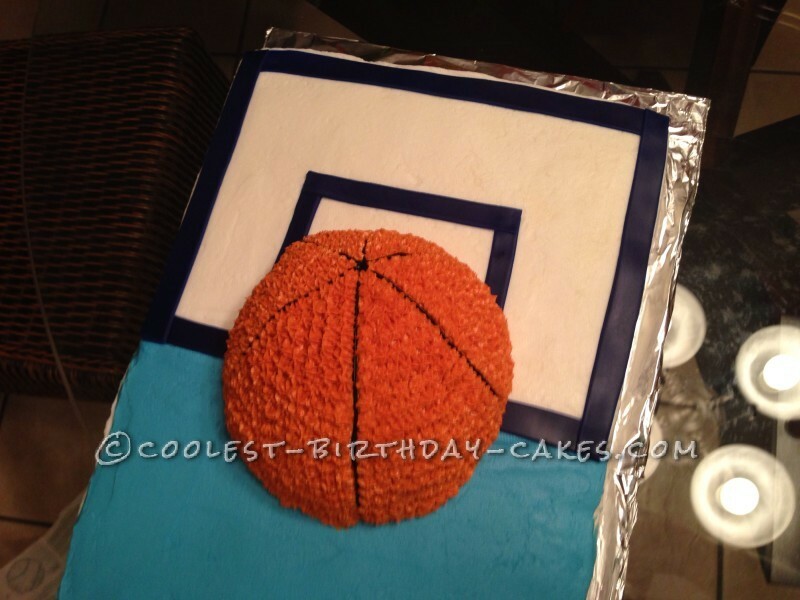 The rim of the basketball hoop and the dark blue outline of the backboard were made from fondant. 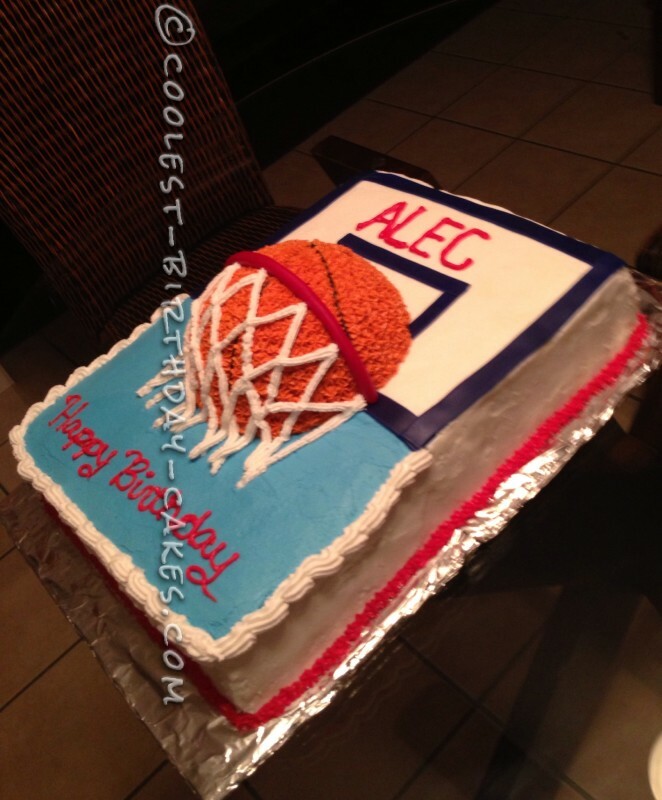 WOW….great job, I’am sure one of my grandsons would LOVE this cake.